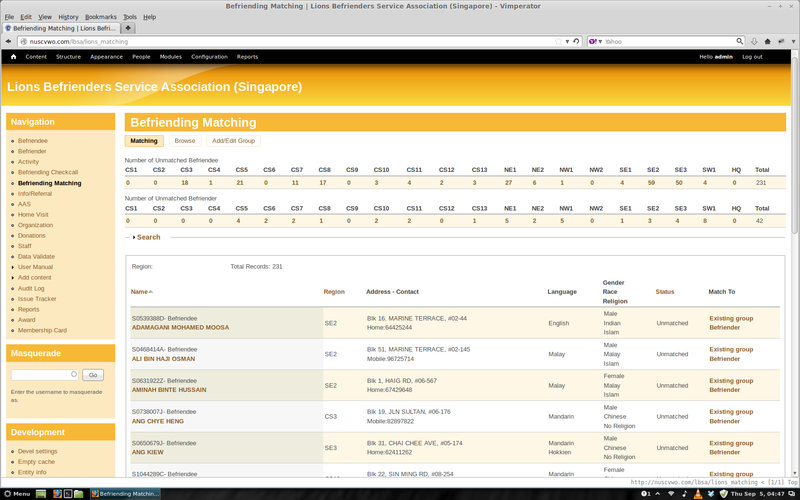 LBSA is a Voluntary Welfare Organisation which was founded in 1995 by the Lions Clubs of Singapore and a Lions District Project. LBSA are also a registered member with the National Council of Social Service, the local social services sector’s umbrella body. LBSA’s core mission is to aid in the social, psycho-emotional and physical well-being of lonely seniors through community participation whilst upholding their belief that every older person is a valued member of society and deserves to age with grace and dignity. Lions Befrienders provides two core programmes. The Befriending Programme involves volunteers (Befrienders) paying visits to seniors (Befriendees) on a weekly basis. Through these home visits, the volunteers provide social and psycho-emotional support to the seniors who live alone and are at the risk of isolation. 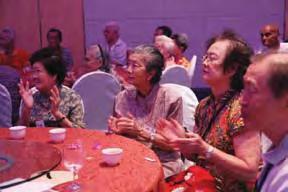 The second programme, Outreach, manages 6 Senior Activity Centres (SACs) across Singapore. 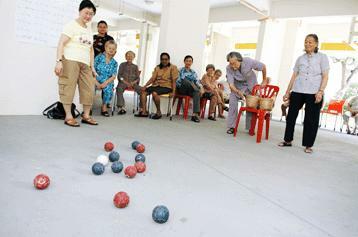 Various activites or courses are organized at the SACs for the seniors living in the neighbourhood. LBSA currently has around 1,400 volunteers (Befrienders) and 2,200 seniors (Befriendees) in their Befriending programme, while their Outreach programme also has around 1800 seniors and about 100 volunteers. Much of this project revolves around migration of the aging Drupal 6 system to Drupal 7 that has more community support and security built into the framework. A key objective of the system is to also add new features that the clients has requested. At the same time, keeping the old features and interface which they have become familiar with, intact as much as possible. The original system was designed 2 years ago by a different team that worked on the CVWO project led by Wang Sha. Since its activation, it has been under active use and maintenance which eventually integrated itself into the core business of the Lions Befriender. It is currently an indispensable tool that the staff of Lions use for monitoring their day-to-day service of the seniors. 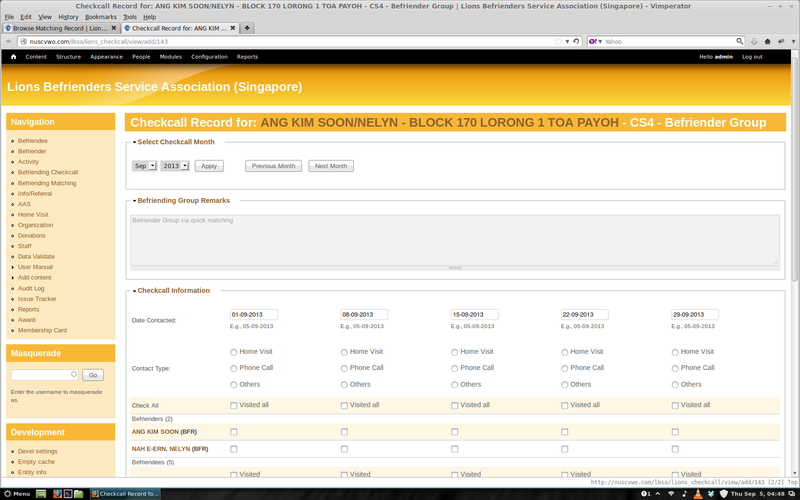 Report generation and statistical collection are tasks that the LBSA staff has to do very frequently. The use of Access and Excel to store all data crucial to the Befriending Programme, like Befriender and Befriendee matching, checkcall records, and details of activities, meant that staff has a lot of difficulty tallying all the figures needed. Staff has to retrieve data from multiple Excel sheets and multiple Access databases from multiple sources, which makes report generation a very tedious task. Usually, several working days per month are needed to generate a single PES report. This takes up a significant amount of the staff’s time, which could otherwise be spent more meaningfully helping the seniors instead. Hence, we need a system that can help them organize data efficiently reduce the time spent on administrative work. As CVWO is about software development and not simply about programming, our job does not only involve coding a system that meets LBSA’s needs. More importantly, we also need to ensure that the system can be integrated into LBSA’s workflow and solves their problems. One major challenge is that LBSA has very complex operations and we need to figure out how our system can best fit in. For example, their Befriending and Outreach programmes are structured such that members can take part in different activities across different regions managed by different centres and different staff, thus care must be taken not to double count attendance, or wrong statistics will be generated in the reports. Because the needs of LBSA were relatively complicated, the project was developed over a period of two years by two teams of students. 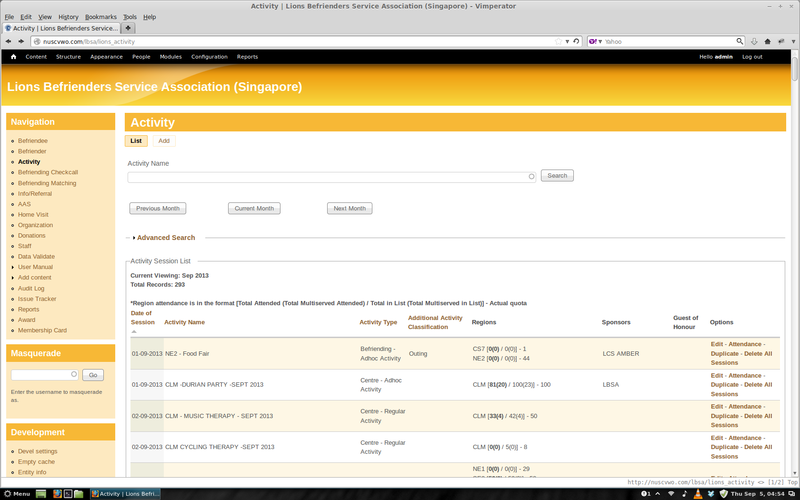 The first team in 2009 focused on understanding LBSA’s operations and developing the core functionalities of the system. This first step was important as we needed to make sure we knew exactly how LBSA functions and what exactly they need. A system was developed subsequently and used by the staff. Continuing on the development in 2010 by a second team, this time round the aim was to add in newly requested features, and make the system a much better one for LBSA staff to use. We listened to feedback from LBSA staff after their experience with the 2009 system, made further clarifications with LBSA with regards to their administrative workflow, and made major improvements to it. Building on the experiences from the previous team, in 2013, we made major improvements in performance and accuracy of the LBSA Management System. The system is now even more robust and incorporates the newest set of features that were requested by the staff on the ground. 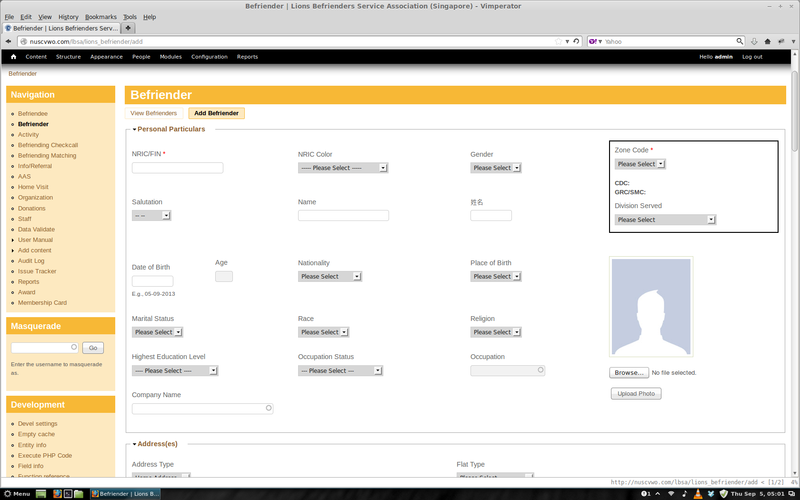 Our system is a web-based management system that incorporates several important features that LBSA requires. Firstly it captures data of all seniors and volunteers under the organization in which the staff has access to regardless whether they are at HQ or at any of the SACs, eliminating the need to do manual synchronization. Secondly, the system can match seniors and volunteers together, which is an important process in the Befriending Programme. Thirdly, the system can also capture data of various types of activities organized by LBSA, the attendance levels of these activities, and checkcall records of the seniors, allowing the staff to ensure that all the seniors are kept in constant contact with. 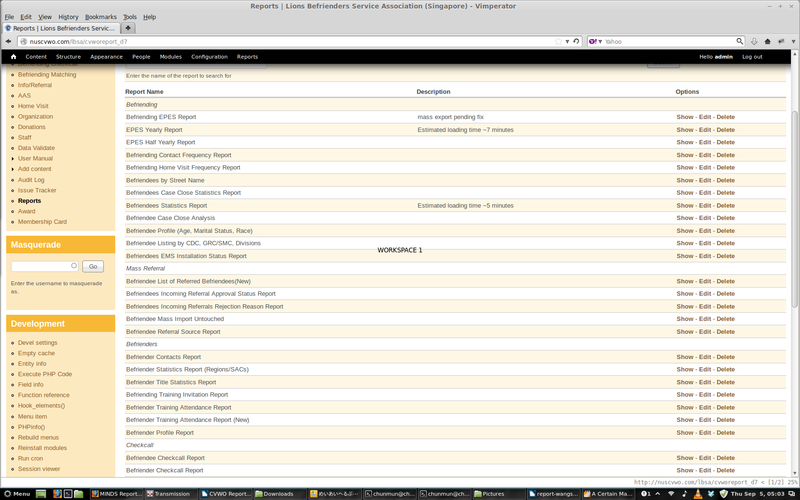 Last but definitely not the least, the system simplifies the generation of reports. Report figures can be calculated from the above mentioned data keyed into the system. Our system also helps centres to track activity attendance for seniors without too much human labour. Generation of PES reports to be submitted to the National Council of Social Service (NCSS) can now be done quickly and accurately, where previously staff would have to spend hours or days going through paper records and tallying figures with a calculator. This has easily been the most intensive learning experience in my university life. Never had I been in a situation when I had to pull off so much in so short a time - and without prior training or experience. In the grand scheme of things, my contribution to society should probably be considered little, but every little bit counts, and I hope that during these holidays I sacrificed, I have made a difference in the lives of other people. Our clients have been very wonderful people, serving the society untiringly, and being able to help them was a very rewarding experience. I am very delighted to see that we can deliver a system that can benefit the society in a real way. During the coding phase, we had to change the database schema and coding approach many times to fit the VWOs requirements. We did have headache a lot of times but in general, we had happy times coding and learning together. I have learnt to take on responsibility and take the initiative to solve problems. In doing so, I have learnt that the sky’s the limit, and I can continue to work hard in order to reach my full potential. 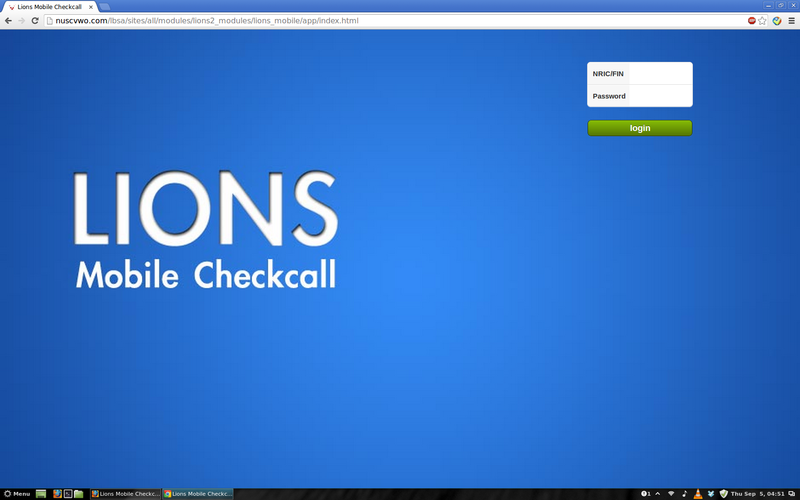 This CVWO project has really opened my eyes to the real world, because it is an actual project with real clients. We have the responsibility of meeting deadlines and producing results for the clients. CVWO effectively bridges the gap between the classroom and the real world, conveying lessons that are impossible to teach within a classroom setting. Furthermore, it has provided us with an avenue to make use of our skills to contribute to society in a meaningful and tangible way aside from collecting money in a tin can. It has been a great experience for me and I have learnt a lot of both technical and non-technical skills from this project. The 3-month experience has taught me much that I would not be able to learn from a university classroom. I truly appreciate this opportunity to be able to see, to learn and to give something back to the society in return. Computers can really help with the work of our clients. In the LBSA system, there is a huge amount of data and a large amount of work needs to be done to generate a single report. Dr Ben Leong, who drilled and guided us through every step of the project, and helped us not only to become better software engineers in general, but also to learn some of the more important lessons in life. Dr Damith Rajapakse, who acted as a second mentor, and will undoubtedly in due time be guiding future generations in other community projects. YMCA team, who shared many project management tips and technical advice with us, and helped us in many areas of our project. McKinsey & Company, for providing us with training via their wonderful workshops.